Lightweight and powerful backpack vacuum cleaner with 240V mains power. The BV 5/1 Bp backpack vacuum is designed for quick and effective vacuum cleaning of hard-to-reach, fast turnaround areas such as public transport, aeroplanes, cinemas, theatres and stairwells. 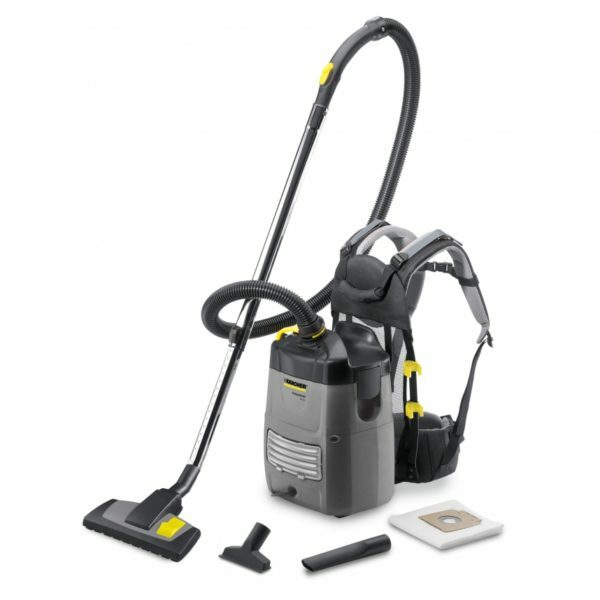 The machine features a 5 litre capacity and a single, powerful vacuum motor. The innovative harness system was developed with rucksack manufacturer Deuter, to ensure that the straps are as comfortable and supportive as possible, and help to keep operators cool.